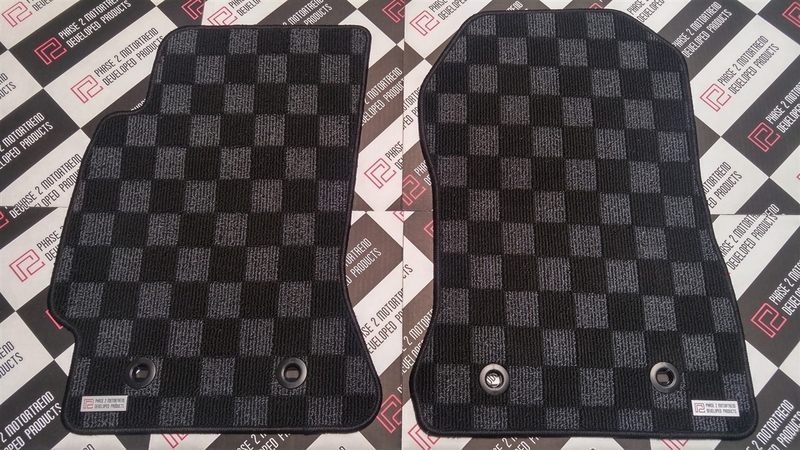 P2M USDM spec interior front for mats in race checkered dark grey pattern for all Subaru BRZ / Toyota FRS. 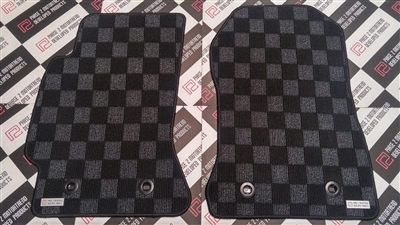 Comes with P2M signature plaque. 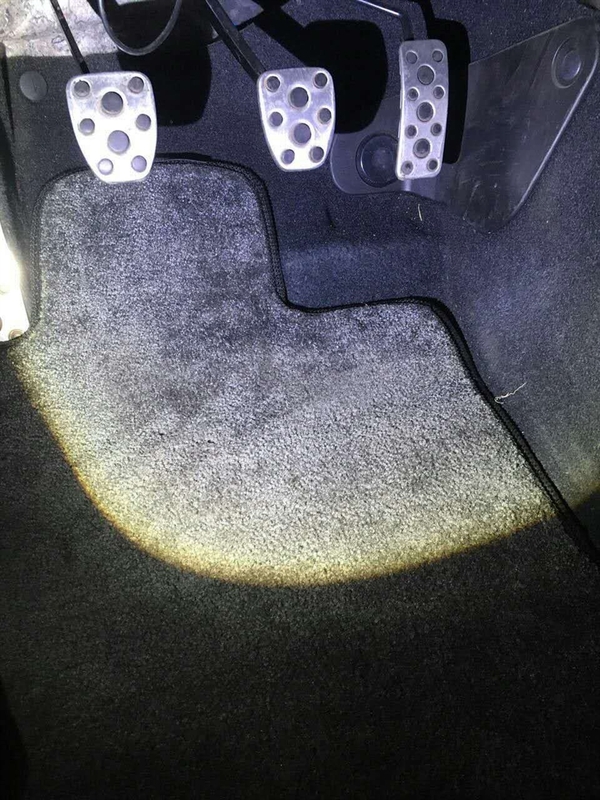 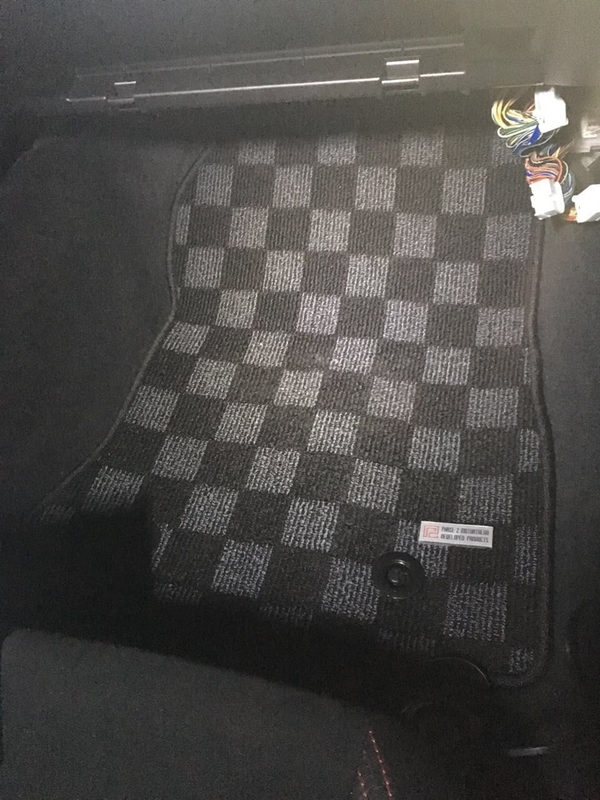 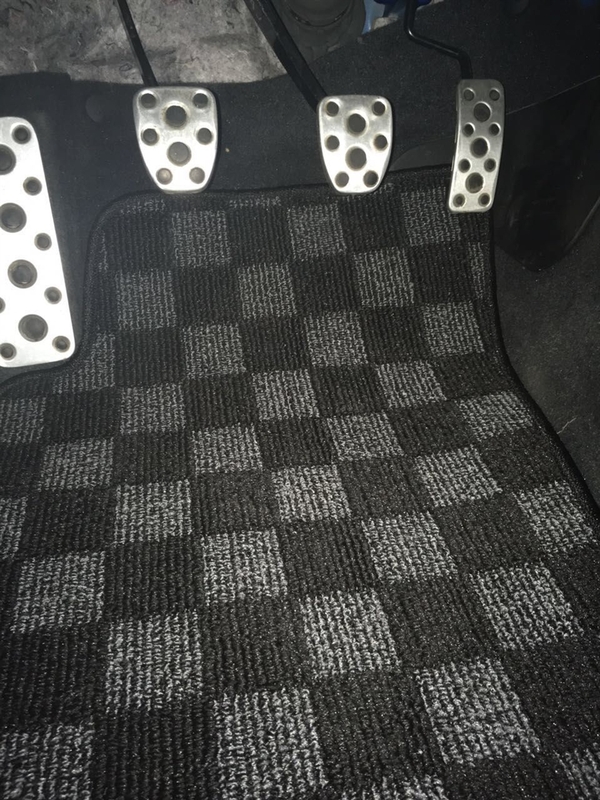 P2M improved the driver side carpet by fully covering the missing section on the top right corner under the gas pedal.